When a colleague or friend has done a good job, it is thoughtful to send them a congratulations note. This can be a letter, an email, or a card. Here is an example of a congratulations note to send to someone who you believe should be acknowledged for a job well done. I heard that you just closed on the Mansion on the corner of Fifth Avenue and 57th Street. I know that it had been on the market for three years, so congratulations for closing the deal. I know you spent a lot of time with the sellers, working with them to make the property more appealing. Your patience and persistence finally paid off. I am so happy for you. You should always include your full name, address, email address, and phone number. Even if you know the person fairly well, people lose things, address books get misplaced, and people change their email address more often then you'd think. This way you are assured that your friend or colleague has your current contact information. If you're IT savvy, go ahead and share your social media handles and website address. Be specific about the job you are congratulating the person for, as well as the qualities that you recognize as contributing to their success. It's best to avoid attempts at humor. It usually doesn't translate well. Just let your thoughtful congratulations stand for itself. If you feel more than a card is needed, consider sending flowers, balloons, candy, or another common celebratory item. If you are congratulating someone in the workplace, especially if you are in a position of importance, also consider sending a copy of the letter, or email, to the person's supervisor. It is perfectly acceptable to send congratulations both by email, or a text, and then follow up with a hard copy letter or card which is more permanent. When it comes to recognizing someone's value, you can't say congratulations too often. If the person you congratulated has another success or accomplishment, you can send them another congratulations letter. Be sure to update your contact information. It is common courtesy to recognize a job well done. It can motivate people to congratulate them beyond a simple emoji thumbs up via social media. You never know when someone will be in a position to recommend you for a promotion, give you a job lead, or help you nab a new client. Maintaining a positive relationship with colleagues (and friends) can pay off in the future, in addition to making them (and you) feel good. And you shouldn't discount friends. Friends will always help you in a pinch and may also be able to advance your career with a new business lead or contact. Here are a variety of examples of congratulation notes to use to acknowledge a promotion and other employment-related accomplishments. 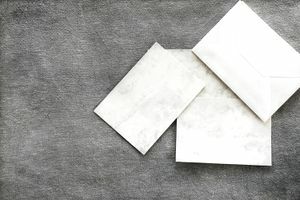 Consider these letter samples your stash if you need help with any business correspondence including cover letters, interview thank you letters, follow-up letters, job acceptance, and rejection letters, resignation letters, appreciation letters, and letters to help you get a job interview.